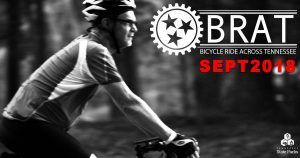 We are only days away from the start of the 2018 Bicycle Ride Across Tennessee! Please check your email for information for registered riders. You can also click here to view the Rider Manual. In an effort to be more environmentally friendly, we will only have a limited number of printed copies of the Rider Manual this year.